Devon Furniture Repair specialists, Browning Restorations are based in Budleigh Salterton but offer their furniture and woodwork repair services throughout Devon, including Topsham, Lympstone, Exmouth and Sidmouth. We carry out all aspects of furniture repair including securing joints, repairing scratches or chips in the wood, flood and fire damage and other damage. 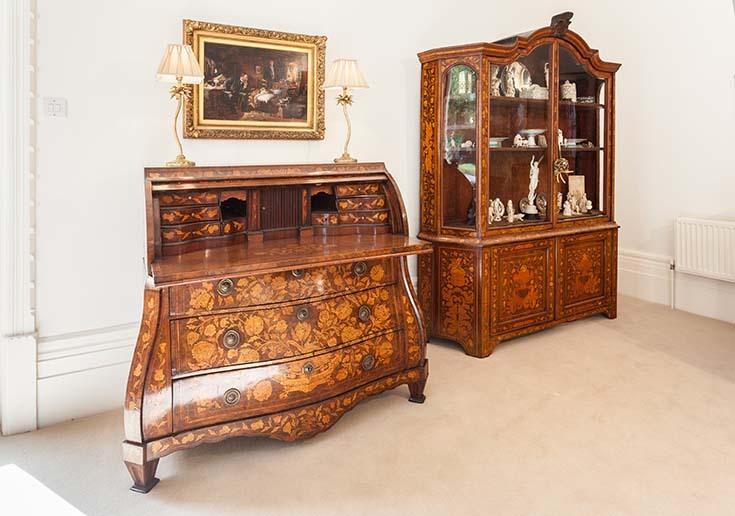 We will repair a wide variety of furniture, including antique, modern, large and small items of furniture, such as bookcases, staircases, doors and desks. Damaged areas of the furniture are meticulously repaired. Finally we polish the furniture sympathetically, retaining the patination wherever it is possible, enhancing the appearance and value of your treasured piece of furniture. If you have any questions about how we work please contact us and we shall help you with your precious beloved furniture.